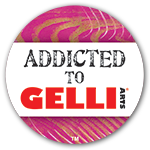 Of course I love the idea of a round Gelli plate, Who wouldn’t? But there is very little chance I will get one for a number of reasons. 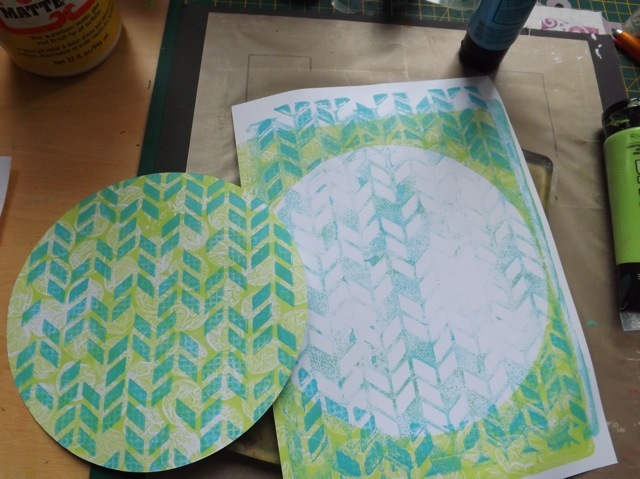 But I do like the round print idea so I just had a go with some circles I cut. 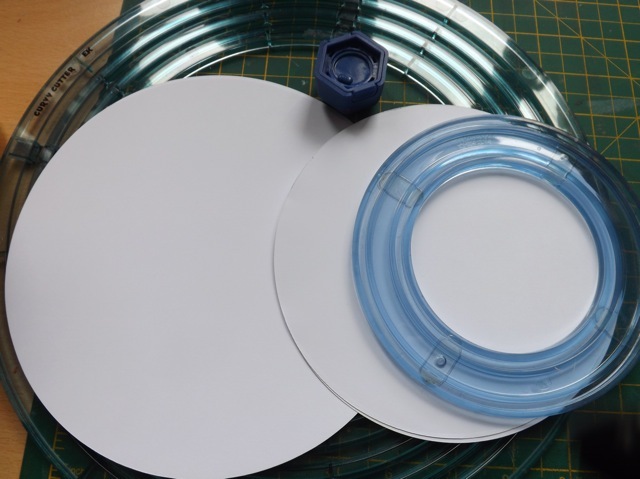 I have no idea where the cutting pod is for that big EK Success circle cutter but I found that the biggest of the CM pods (the blue one) works perfectly to the inside of the larger template and cuts a circle perfect for the 8 x 10 inch plate. Woo hoo! 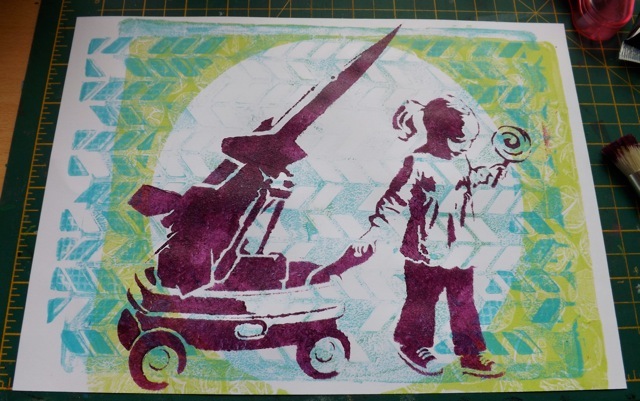 but cover that with a full sheet of copy paper then press all over. 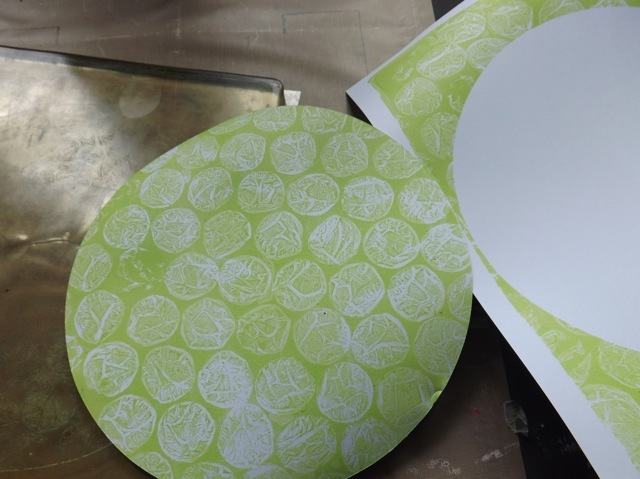 For that I pulled onto the circle thru the stencil then pulled the ghost print to fill the gap on the first one. 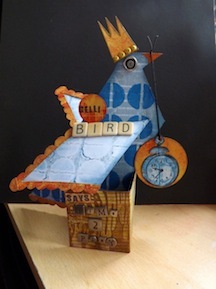 Again, still taking no care with placement DOH! And THAT (and a knock at the door) sent me off in another direction, cause I got this in the mail! The circle worked perfectly to frame the image. 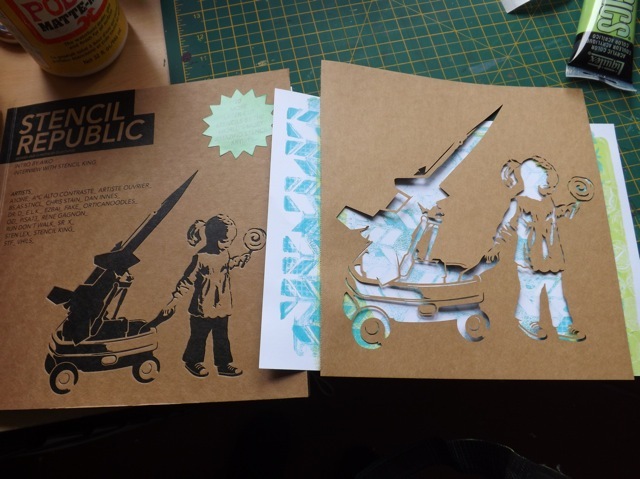 Now, I’ve had another idea I want to play with and a little bookkeeping to do. 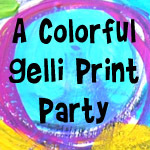 Categories: Gelli plate monoprints | Tags: art techniques, Gelli plate | Permalink.